Okay, we moved the toddler bed into Princess’s bedroom. We kept the crib in there too since that’s what I read as a suggestion in a book or magazine. We decided to try to see if she would sleep in the toddler bed for her nap. Nope! Before reading her books, I explained to her that she could sleep in the big girl bed today instead of the crib. So after finishing reading, we said, “Okay, let’s sleep in the bed!” Princess walked straight to her crib. When I tried to guide her to the bed, she refused loudly! We ended up letting her sleep in the crib. I think she feel secure in it. Oh well, we’ll try again tomorrow. I wonder if it would make a difference if we position the toddler bed where the crib is and then move the crib? Hmmm…transitions are so difficult! Let’s see how long this one will take! Recently, we purchased a toddler bed for Princess. At first we weren’t going to get one since most people told us to use a twin bed mattress on the ground. But since Baby has arrived, we decided that a toddler bed is a good investment since both children will use it. Then it’ll leave the twin bed available if we need it. Right now we have the toddler bed sitting in the living room just to get Princess used to it. We also wanted to air it out (with the mattress) before putting it in her bedroom. Princess loves to lie on the bed and she tells us to pray while she is lying on it. Too cute! The question is…how do we get her to want to sleep in the toddler bed rather than the crib? I have to say, she loves her crib. I think it’s because she feels safe and secure in it. I tried to put her stuffed animals on her toddler bed but she took them off and put them back into her crib. My next strategy is to get some really cute alphabet crib sheets from Pottery Barn Kids. I’m thinking that it’ll encourage her to want to sleep in her new bed. I’ve been telling her that she is a big girl and can sleep in the big girl bed. I’m not sure if she’s convinced of that yet. I hope to get her in that toddler bed within the month. I’m not sure how she’ll take to the change since it probably seems like there are so many changes since Baby came. I hope that Baby can use the crib soon so that I can put the mobile up. Right now, Baby is sleeping in the cosleeper but I want her to get used to the crib and spending some quiet awake time in the crib with the mobile. So that’s one more change for Princess…not to mention the next upcoming transition. Potty training! Actually, I hope she gets admitted to preschool, esp. the one that takes children who are not potty trained. I heard they learn to be potty trained very quickly while in preschool because they see their peers going to the potty. Another concern is that Princess has been having trouble with naps too. Yes, since Baby was born. For one thing, she will not go to the bedroom is Baby is up and in the living room with us. So, we have to put Baby into her room first before Princess will go to her bedroom to nap or sleep at night. I think Princess thinks it isn’t fair that Baby is staying up and she has to go to bed. As for naps, Princess used to nap approx. 2 hours per day but now it’s down to 1 hour or less. Sometimes it takes her 45 mins. to 1 hour to settle herself down. Often, she wakes up from her nap fussing and crying or screaming. When I get her out of the crib, her hair and face is wet with saliva and snot and perspiration! Yuck! I really thought we were past all those sleep issues a long time ago. Not even, esp. when a new baby joins the picture! I still believe that motherhood is one of the toughest jobs out there! Okay, maybe not for all you mothers out there but for me it is! I still pray daily for Gods’ strength and mercy because without it, I know I couldn’t do all the things that need to get done esp. when I am sleep deprived! I thank God every day for blessing me with my husband and my 2 beautiful daughters! Anyone out there know of where I can find some cute free fonts and dingbats? I did get some a while back from Two Peas in a Bucket. I don’t know if you can get them there anymore. I know that their website has changed. 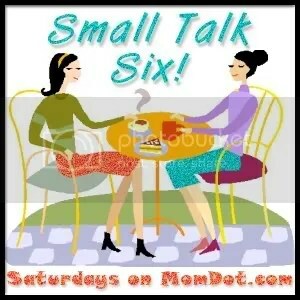 I also found some from a site called Moms Corner 4 Kids. Unfortunately, that site seems to have disappeared. So…I’m on the search for some cute fonts or dingbats that are free of course. Anyone out there know of some good sites?